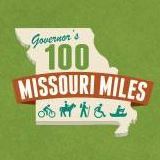 Missouri Bicycle and Pedestrian Federation | Working to make Missouri a better, safer place to walk and bicycle! The list below represents all bike shops in Missouri that we know about. If you would like your bike shop list here, or if your information needs updating, please contact webmaster@mobikefed.org. If your bike shop is not yet a Federation member, or your membership is expired, you can join or renew here. All bike shops that are Federation members should be listed here--if yours is not, please contact webmaster@mobikefed.org.